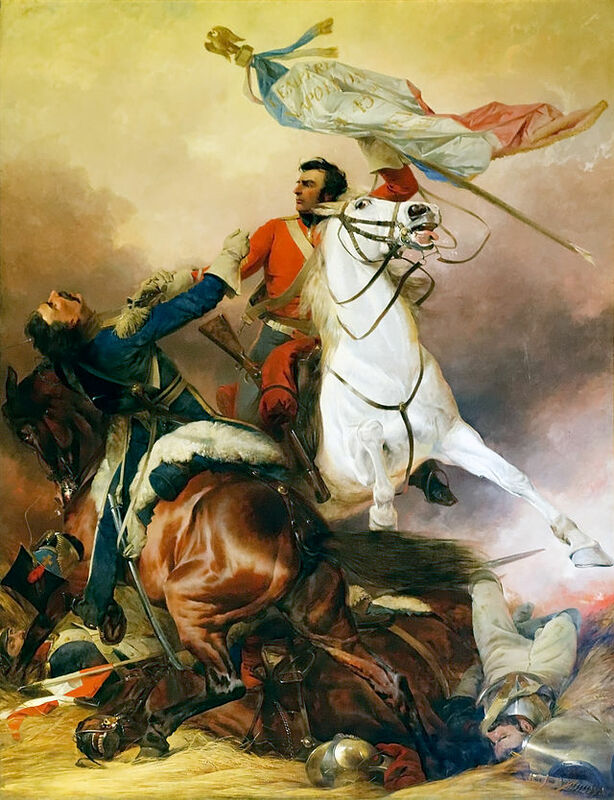 200 years ago, on 18th June 1815, the Battle of Waterloo was fought when Napoleon’s French army was defeated by an Anglo-allied army, commanded by the Duke of Wellington, in present day Belgium. This would be the final defeat of Napoleon Bonaparte, who had conquered much of Europe in the early 1800’s and, after he finally surrendered to a Captain Maitland of the HMS Bellerophon, Napoleon was exiled to Saint Helena where stayed until he died in 1821. The Battle of Waterloo was a defining point in European history and set the course of history, right through to the outbreak of The First World War. The period between the two wars was a period of relative stability and peace in Europe, which was marked by prosperity and technological advancement. The Battle of Waterloo lasted for just one single day and, in that time; approximately 26,000 of Napoleon’s forces were killed, about 15,000 of Napoleon’s and around 7,000 of the Prussian commander, Blücher’s soldiers died. While everybody probably knows something about Waterloo, here are ten facts that you may not of have known about Napoleons defeat by Wellington at the Battle of Waterloo. At the Battle of Waterloo, Napoleon faced two armies whose combined forces outnumbered Napoleons own forces, nearly two to one. The French Army under Napoleon numbered about 77,500, while the Anglo-Dutch forces under Wellington numbered approximately 73,200 and they were supported by Blücher’s Prussian Army of 49,000. 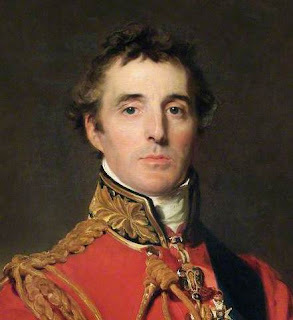 The Duke of Wellington named the battle, the Battle of Waterloo, because the small village of Waterloo was where he had his headquarters. Apparently Wellington a habit of naming battles after the town he had slept in the night before. The Prussians, however, called it 'La Belle Alliance', after an inn that was within Napoleons lines and the French called the battle 'Mont St Jean', which was the name of a hilltop that marked where Wellington’s lines were. Amongst the wounded that were left after the Battle of Waterloo, over two thousand soldiers had to have limbs amputated. The most famous of those amputees was Wellingtons Calvary commander, Lord Uxbridge, who, upon realising that a cannon ball had partially removed his leg remarked “By God, sir, I’ve lost my leg!” To which Wellington replied “By God, sir, so you have!” In those days, an amputation was done without any real anaesthetic and it took around fifteen minutes to complete. Casualties from the Battle of Waterloo are still occasionally found when new buildings are built in the region, but not very often because the bones of the dead were often dug up and then ground down to be used as fertilizer by the local farmers. The Battle of Waterloo was the culmination of wars that were known collectively as the Great War, until the 1914-1928 First World War took the name. Waterloo brought to end over 20 years of fighting between European powers in what is widely considered to have been the first real world war in history. 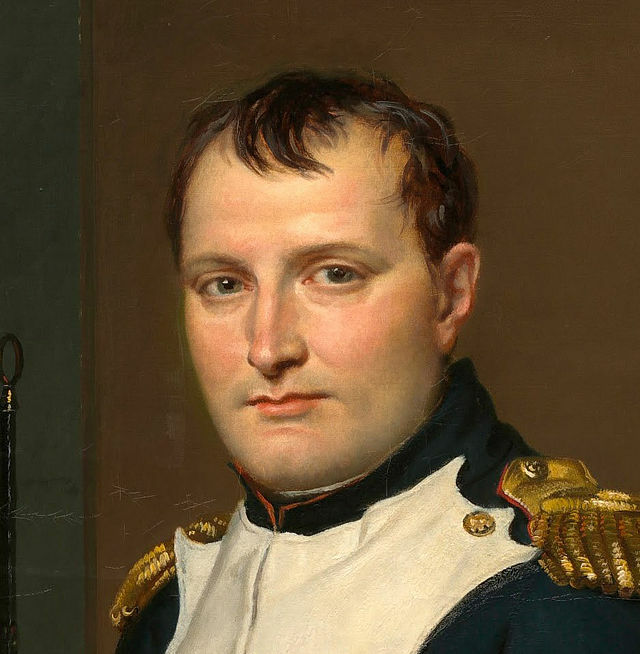 Napoleon Bonaparte was already preparing for his victory after the Battle of Waterloo and Prussian soldiers found that Bonaparte had already had a printed a proclamation declaration of his victory that he had prepared in advance. He was also going to promise his troops that they could loot whatever they liked from the Belgium capital. Floods of sightseers descended on the battlefield the very next morning after the fighting had ceased. Locals seized on the opportunity and a thriving trade developed in battle momentous such as cap badges, pistols and sabres. It wasn’t only after the battle that the looting started, even during the fighting, soldiers would stop to pick through the pockets of recently departed comrades. The most prized item was the teeth of the dead, which were extracted with a hammer and chisel and then sold to be used as dentures for the wealthy. False teeth were known for a long time as “Waterloo teeth” and even Wellington is said to have worn a set, although it is not known if his dentures came from Waterloo. 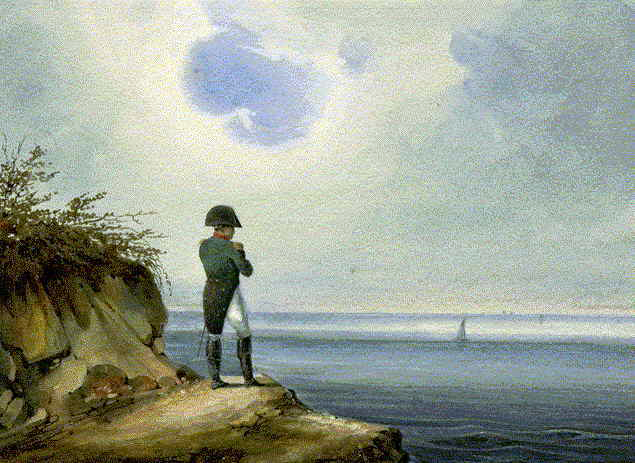 Before his exile to Saint Helena, Napoleon was held prisoner on HMS Bellerophon in Plymouth harbour. People would wait at the quayside, or row out to the ship, so they could catch a glimpse of Bonaparte when he took a stroll on the deck. Bonaparte was exiled to the south Atlantic island of Saint Helena, which was five thousand miles from Europe and more than a thousand miles from the nearest mainland shore. He died there of stomach cancer in 1821. It is thought that his stomach problems may have been caused by the poison that he took, shortly after his defeat, in a suicide attempt.